NEW AND IMPROVED! 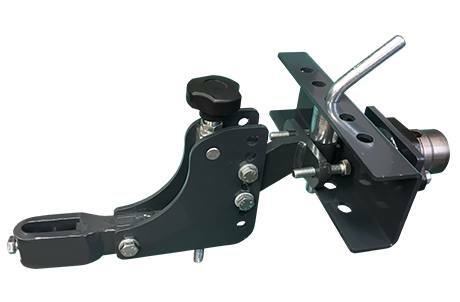 Tool Carriers can now be installed on the tractor's PTO, providing a strong and durable connection for drag implements such as the Ridger, V-Cultivator, and Root Digger. The Tool Carrier Kit is available, which includes everything you need to mount drag implements to a BCS tractor. 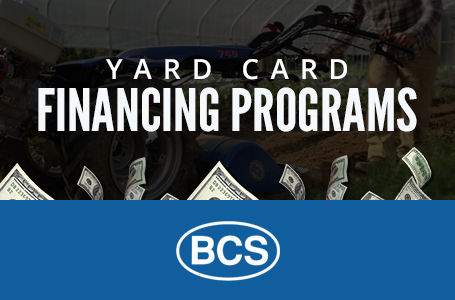 Only one Draw Bar Hitch and Tool Carrier is needed to operate the range of drag implements (Ridger, V-Cultivator, Root Digger) offered by the BCS dealer network. The Adjustable Tool Carrier allows the operator to set the angle of the implement via an easy-to-use crank handle. Required to operate Root Digger, V-Cultivator, and Ridger. Adjustable Tool Carrier offers variable angles of attack for increased versatility.